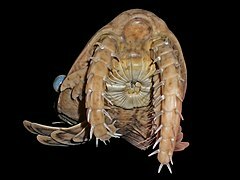 The fossil record demonstrates a long history of interactions between predators and their prey from the Cambrian period onwards, showing for example that some predators drilled through the shells of bivalve and gastropod molluscs, while others ate these organisms by breaking their shells. Among the Cambrian predators were invertebrates like the anomalocaridids with appendages suitable for grabbing prey, large compound eyes and jaws made of a hard material like that in the exoskeleton of an insect. Some of the first fish to have jaws were the armoured and mainly predatory placoderms of the Silurian to Devonian periods, one of which, the 6 m (20 ft) Dunkleosteus, is considered the world's first vertebrate "superpredator", preying upon other predators. 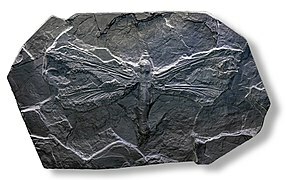 Insects developed the ability to fly in the Early Carboniferous or Late Devonian, enabling them among other things to escape from predators. 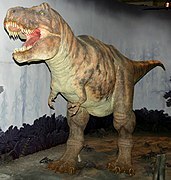 Among the largest predators that have ever lived were the theropod dinosaurs such as Tyrannosaurus from the Cretaceous period. They preyed upon herbivorous dinosaurs such as hadrosaurs, ceratopsians and ankylosaurs. Humans are to some extent predatory, using weapons and tools to fish, hunt and trap animals. 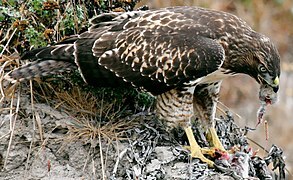 They also use other predatory species such as dogs, cormorants, and falcons to catch prey for food or for sport. Two mid-sized predators, dogs and cats, are the animals most often kept as pets in western societies. Neolithic hunters, including the San of southern Africa, used persistence hunting, a form of pursuit predation where the pursuer may be slower than prey such as a kudu antelope over short distances, but follows it in the midday heat until it is exhausted, a pursuit that can take up to five hours. The anglerfish is a fish of the teleost order Lophiiformes (). It is a bony fish named for its characteristic mode of predation, in which a fleshy growth from the fish's head (the esca or illicium) acts as a lure. Some anglerfish are also notable for extreme sexual dimorphism and sexual symbiosis of the small male with the much larger female, seen in the suborder Ceratioidei. In these species, males may be several orders of magnitude smaller than females.Anglerfish occur worldwide. Some are pelagic (dwelling away from the sea floor), while others are benthic (dwelling close to the sea floor); some live in the deep sea (e.g., Ceratiidae), while others on the continental shelf (e.g., the frogfishes Antennariidae and the monkfish/goosefish Lophiidae). Pelagic forms are most laterally compressed, whereas the benthic forms are often extremely dorsoventrally compressed (depressed), often with large upward-pointing mouths. An apex predator, also known as an alpha predator or top predator, is a predator at the top of a food chain, with no natural predators.Apex predators are usually defined in terms of trophic dynamics, meaning that they occupy the highest trophic levels. Food chains are often far shorter on land, usually limited to being secondary consumers – for example, wolves prey mostly upon large herbivores (primary consumers), which eat plants (primary producers). The apex predator concept is applied in wildlife management, conservation and ecotourism. Aquatic feeding mechanisms face a special difficulty as compared to feeding on land, because the density of water is about the same as that of the prey, so the prey tends to be pushed away when the mouth is closed. This problem was first identified by Robert McNeill Alexander. As a result, underwater predators, especially bony fish, have evolved a number of specialized feeding mechanisms, such as filter feeding, ram feeding, suction feeding, protrusion, and pivot feeding. Most underwater predators combine more than one of these basic principles. For example, a typical generalized predator, such as the cod, combines suction with some amount of protrusion and pivot feeding. In ecology, a biological interaction is the effect that a pair of organisms living together in a community have on each other. They can be either of the same species (intraspecific interactions), or of different species (interspecific interactions). These effects may be short-term, like pollination and predation, or long-term; both often strongly influence the evolution of the species involved. A long-term interaction is called a symbiosis. Symbioses range from mutualism, beneficial to both partners, to competition, harmful to both partners. Interactions can be indirect, through intermediaries such as shared resources or common enemies. A carnivore , meaning "meat eater" (Latin, caro, genitive carnis, meaning "meat" or "flesh" and vorare meaning "to devour"), is an organism that derives its energy and nutrient requirements from a diet consisting mainly or exclusively of animal tissue, whether through predation or scavenging. Animals that depend solely on animal flesh for their nutrient requirements are called obligate carnivores while those that also consume non-animal food are called facultative carnivores. Omnivores also consume both animal and non-animal food, and, apart from the more general definition, there is no clearly defined ratio of plant to animal material that would distinguish a facultative carnivore from an omnivore. A carnivore at the top of the food chain, not preyed upon by other animals, is termed an apex predator. Carnivores are sometimes characterized by their type of prey. For example, animals that eat mainly insects and similar invertebrates are called insectivores, while those that eat mainly fish are called piscivores. The first tetrapods, or land-dwelling vertebrates, were piscivorous amphibians known as labyrinthodonts. They gave rise to insectivorous vertebrates and, later, to predators of other tetrapods.Carnivores may alternatively be classified according to the percentage of meat in their diet. The diet of a hypercarnivore consists of more than 70% meat, that of a mesocarnivore 30–70%, and that of a hypocarnivore less than 30%, with the balance consisting of non-animal foods such as fruits, other plant material, or fungi. In ecology, a community is a group or association of populations of two or more different species occupying the same geographical area and in a particular time, also known as a biocoenosis. The term community has a variety of uses. In its simplest form it refers to groups of organisms in a specific place or time, for example, "the fish community of Lake Ontario before industrialization". A flock is a gathering of a group of same species animals in order to forage or travel with one another. In avians flocks are typically seen in association with migration. While this is true it can also be seen that flocking is important in safety from predation and foraging benefits. However it is also important to note that living in a flock can also come at a cost to the birds living within it.The definition of flock is narrow, only focusing on a single species existing within a flock. However the existence of mixed flocks are also present in the environment and consist of at least two or more species. In avians the species that tend to flock together are typically similar in taxonomy as well as morphological characters such as size and shape. By having a flock with multiple species present, the defence against predation increases. Defence against predators is particularly important in closed habitats such as forests where early warning calls play a vital importance in the early recognition of danger. The result is the formation of many mixed-species feeding flocks. The guppy (Poecilia reticulata), also known as millionfish and rainbow fish, is one of the world's most widely distributed tropical fish, and one of the most popular freshwater aquarium fish species. 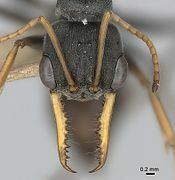 It is a member of the family Poeciliidae and, like almost all American members of the family, is live-bearing. Guppies, whose natural range is in northeast South America, were introduced to many habitats and are now found all over the world. They are highly adaptable and thrive in many different environmental and ecological conditions. Male guppies, which are smaller than females, have ornamental caudal and dorsal fins. Wild guppies generally feed on a variety of food sources, including benthic algae and aquatic insect larvae. Guppies are used as a model organism in the fields of ecology, evolution, and behavioural studies. Internet safety or online safety is trying to be safe on the internet and is the knowledge of maximizing the user's personal safety and security risks to private information and property associated with using the internet, and the self-protection from computer crime in general. As the number of internet users continues to grow worldwide, internets, governments and organizations have expressed concerns about the safety of children using the Internet. Safer Internet Day is celebrated worldwide in February to raise awareness about internet safety. In the UK the Get Safe Online campaign has received sponsorship from government agency Serious Organized Crime Agency (SOCA) and major Internet companies such as Microsoft and eBay. Intraguild predation, or IGP, is the killing and sometimes eating of potential competitors. 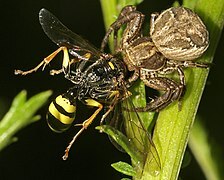 This interaction represents a combination of predation and competition, because both species rely on the same prey resources and also benefit from preying upon one another. Intraguild predation is common in nature and can be asymmetrical, in which one species feeds upon the other, or symmetrical, in which both species prey upon each other. Because the dominant intraguild predator gains the dual benefits of feeding and eliminating a potential competitor, IGP interactions can have considerable effects on the structure of ecological communities. Sea apple is a common name for the colorful and somewhat round sea cucumbers of the genera Pseudocolochirus, found in Indo-Pacific waters. Sea apples are filter feeders with tentacles, ovate bodies, and tube-like feet. They can release their internal organs or a toxin into the water when stressed. Seed predation, often referred to as granivory, is a type of plant-animal interaction in which granivores (seed predators) feed on the seeds of plants as a main or exclusive food source, in many cases leaving the seeds damaged and not viable. Granivores are found across many families of vertebrates (especially mammals and birds) as well as invertebrates (mainly insects); thus, seed predation occurs in virtually all terrestrial ecosystems. Seed predation is commonly divided into two distinctive temporal categories, pre-dispersal and post-dispersal predation, which affect the fitness of the parental plant and the dispersed offspring (the seed), respectively. Mitigating pre- and post-dispersal predation may involve different strategies. To counter seed predation, plants have evolved both physical defenses (e.g. shape and toughness of the seed coat) and chemical defenses (secondary compounds such as tannins and alkaloids). However, as plants have evolved seed defenses, seed predators have adapted to plant defenses (e.g., ability to detoxify chemical compounds). Thus, many interesting examples of coevolution arise from this dynamic relationship.